The dates for this year’s Devastation On The Nation Tour have been confirmed and can seen below. 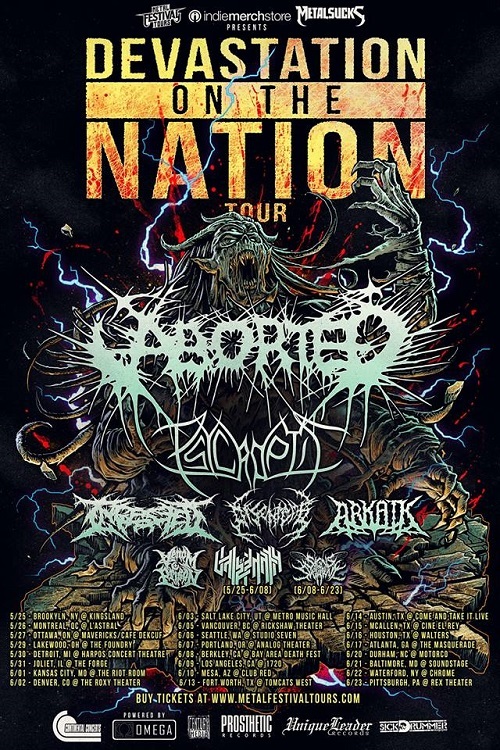 As previously reported, the lineup will feature Aborted, Psycroptic, Ingested, Disentomb, Arkaik, and Venom Prison; with Vale Of Pnath and Enfold Darkness appearing on select dates. Tickets are available for purchase now at this location.